ABSTRACT: Kirk R. Smith, Professor of Global Environmental Health at UC Berkeley, is head of the oldest and largest research group in the world focused on the climate and health implications of household energy use in developing countries. He will discuss massive 2016 initiatives in India designed to bring clean fuel to 50 million poor households in 3 years and pioneering initiatives at different stages in Ecuador and Bhutan that may lead to skipping over fossil fuel entirely to bring advanced electric cooking technologies to households now using biomass. BIOGRAPHY: Prof. Smith was founder and head of the Energy Program of the East-West Center in Honolulu before moving to Berkeley in 1995. 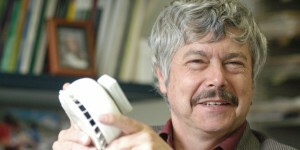 He serves on a number of national and international scientific advisory committees including the Global Energy Assessment, National Research Council’s Board on Atmospheric Science and Climate, the Executive Committee for WHO Air Quality Guidelines, and the International Comparative Risk Assessment of the Global Burden of Disease Project. He participated, along with many other scientists, in the IPCC’s 3rd and 4th assessments and shared the 2007 Nobel Peace Prize and is Convening Lead Author for Climate and Health for the 5th Assessment. He holds visiting professorships in India and China and bachelors, masters, and doctoral degrees from UC Berkeley and, in 1997, was elected member in the US National Academy of Sciences, one of the highest honors awarded to US Scientists by their peers. In 2009, he received the Heinz Prize in Environment and in 2012 was awarded the Tyler Prize for Environmental Achievement.